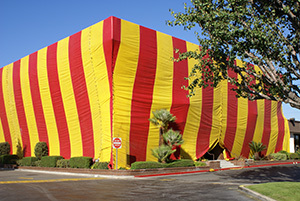 Are You Looking for a Fumigation Alternative for Your Home in Escondido, CA? Termite fumigation is a major hassle that can disrupt the home lives of Escondido, CA, residents for days or even weeks at a time. Not only does it force homeowners to leave their houses and find alternative accommodations, but it also leads to worries about the effects of lingering chemical residue in their homes. Fortunately, effective termite treatment doesn’t require fumigation when you turn to Kilter Termite and Pest Control. Using the advanced KILGUARD system, Kilter is able to completely eliminate drywood and subterranean termites from our customers’ homes in Escondido, CA, without the use of harsh and noxious fumes. Unlike fumigation, our system is directly targeted at infestation sites, so there’s no need to worry about lingering residue. Best of all, you can remain home throughout the entire process. Another thing that sets us apart from many fumigation companies is that we offer wood replacement. This optional service is perfect for homeowners whose homes have been damaged by termites, as we can restore damaged areas to their original condition. To learn more about the benefits of choosing Kilter Termite and Pest Control to treat your home in Escondido, CA, instead of a fumigation company, contact us today.